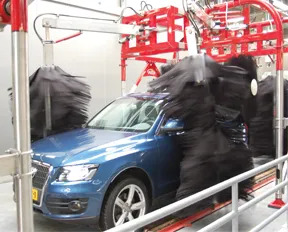 The PECO Polishing Tunnel delivers an amazing shine that adds value to the consumer and a significant new profit center for the car wash. PECO has helped usher in this exciting new evolution in car washing. With polish tunnels in operation across the globe for over 10 years, PECO knows what works and what does not. Simply changing the media on wash equipment does not make a polish tunnel. The company has refined the polishing process producing successful, high volume sites.